Submissions are now open for the 6th Annual Māoriland Film Festival, which will take place from March 20 – 24, 2019 in Ōtaki, New Zealand. Māoriland Film Festival (MFF) is Aotearoa’s International Indigenous film festival celebrating Indigenous voices and storytelling in film. Each March, Māoriland brings Indigenous films and their creators to Ōtaki on Aotearoa’s (New Zealand) Kāpiti Coast for five days of screenings, workshops, art exhibitions and special events. Māoriland Film Festival is operated out of the Māoriland Hub in the beautiful coastal town of Ōtaki, just one hour north of New Zealand’s capital city, Wellington. At Māoriland we believe in the vitality of Indigenous knowledge and the power of being able to communicate Indigenous perspectives in Indigenous terms. The works presented at Māoriland are a showcase of the immense wealth of Indigenous creative talents, demonstrating the unique and diverse perspectives of Indigenous people the world over. Māoriland celebrates these works in unique settings across Ōtaki, including marae (traditional carved houses), an award-winning leisure centre and outdoors using the best technology. MFF has a strong focus on developing youth filmmaking with a series of youth workshops held throughout the year. Tāria taku moko Māori ki ngā kiriata o te wā. Embed my Native soul in film. Māoriland celebrates the rise of indigenous cinema. It invites filmmakers from around the world to share their compelling big screen stories with us, and with each other. Māoriland is rooted in the traditions and language of the tribes of Ōtaki. It is our honour to extend hospitality to the many visitors to the festival. Māoriland upholds the authority and inspiration of our storytellers. We are guided by our elders, and taught by our children. The festival assists our community to expand their perspectives and to connect with those from other cultures. Māoriland provides a portal to the indigenous world for all people. It assists social cohesion, a sense of pride, and the informed wellbeing of our community. Submissions are online only, via Film Freeway. Please click here to access the online submission form. Māoriland Film Festival is Aotearoa’s International Indigenous film festival celebrating Indigenous voices and storytelling in film. 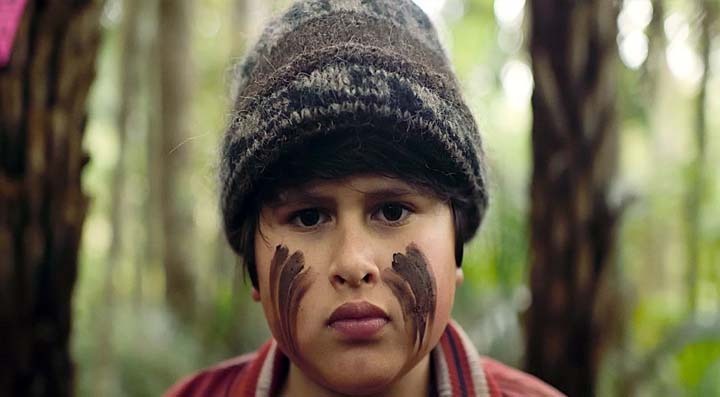 Each March, Māoriland invites Indigenous films and their creators to Ōtaki on New Zealand’s Kāpiti Coast for five days of screenings, workshops and special events. Māoriland considers film, video, audio, digital and interactive media works made by Indigenous creatives from around the globe. To be eligible for submission, an Indigenous creative must be credited in a key role such as director, producer or screenwriter. While a key creative involved in the project must be Indigenous, the issue or content of the film may be non-Indigenous. This recognises the diverse experiences, identities and perspectives of Indigenous people(s), worldwide. In order for your film to be considered please note its eligibility. ‘Indigenous’ includes First Peoples, Native, First Nations and Aboriginal peoples who belong to; or who have had an uninterrupted relationship with their land. This is distinct from those people who have arrived from another place to live in a country. The festival programming panel may consider at its discretion films that have no key Indigenous creatives but have been created in association with Indigenous people or communities. References will be requested for films submitted under this category. Priority is given to works that have not yet been broadcast in New Zealand or over the Internet. International and New Zealand premiere status is also a consideration. Made-for-television films and documentaries are eligible for submission (consideration will be to given to their broadcast status). Music videos are eligible for submission to the Festival, regardless of their New Zealand broadcast status. Episodic television series (dramatic or documentary), news reports, extended reportage, television magazine formats, and information programming or segments (such as PSAs) are NOT eligible for programming consideration EXCEPT where an episode may be viewed independently of the series as a stand-alone item. Filmmakers under the age of 24 are eligible to also apply under the Rangatahi (youth) Festival programme. – A key member of the creative team (director, writer, producer) must identify as Indigenous. Consideration will also be given to films that have strong Indigenous representation in cast and theme, however, this will be at the discretion of the selection panel. – The relevance of the work to the Indigenous community and to general New Zealand audiences as a whole. This year, the Māoriland Film Festival introduces a new fee schedule. Income derived from submission fees will be returned to programmed artists via screening fees, and artist accommodation and hospitality during the festival. Submissions open on July 11, 2018. The deadlines for submissions are as follows; Earlybird – August 31st, Regular – October 3rd, Late – November 3rd, 2018. Films screened at Māoriland Film festival 2019 are eligible for People’s Choice Awards for Best Short Film, Best Documentary, Best Feature Film, and Best Youth Film. Laurels will be sent to prize-winning films. More categories may be established at the discretion of the festival. All non-English language films must have English subtitles for final viewing, Indigenous languages may remain unsubtitled if the overarching message of the film is still clear. Preview screeners and exhibition masters must have no commercial blacks or broadcaster promos. The deadline for film festival submissions is October 3, 2018. Late submissions will be considered until November 3rd, 2018. If your work is not ready for the deadline and you wish it to be considered for this year’s Festival, please contact maddy@maorilandfilm.co.nz immediately. Submission to the 2018 festival will incur the below fees. Regular – $10 USD, $5 USD for student filmmakers and youth filmmakers aged 24 years or less. Māoriland Film Festival is run by a not-for-profit charitable trust. The submission fees assist us with the hefty administration and time it takes to create our festival programme. Read the submission instructions carefully before submitting. Incomplete Submission Forms will not be processed. If selected for the festival, we can only accept hi-res downloads and by mail including blu-ray and/DVD/digital files. We do not accept DCP or older formats such as digi beta. Māoriland Film Festival will not pay customs duties, cash on delivery or any other charges incurred during shipping. If the postage is insufficient it will be returned to the sender. Do not send submissions in fibre-filled envelopes as the dust can damage discs and viewing equipment. Preview DVDs will not be returned unless specifically requested and a self-addressed envelope with New Zealand postage is provided, after the Festival. Participants will be notified by email of the selection results by January 31, 2019 (date approximate). If selected, artist/screening fees are issued to the Indigenous creative as indicated on the Submission Form, or to a recognised distribution company. Awards will be given to the Indigenous creative.If selected for the festival, exhibition copies must be sent in by February 20, 2019. MFF2019 – Call for Volunteers!